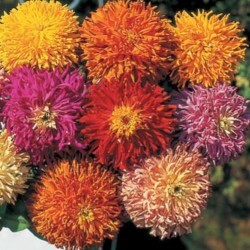 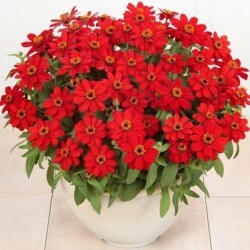 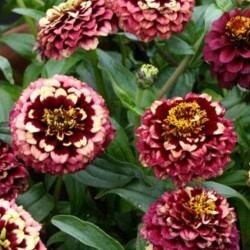 Zinnias are grown in a wide array of colors and heights topped with petite blooms, brightly colored cactus type blooms, or broad giant blooms that can reach over five inches across. 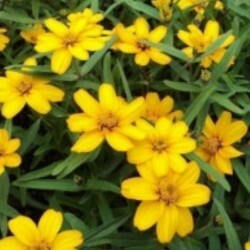 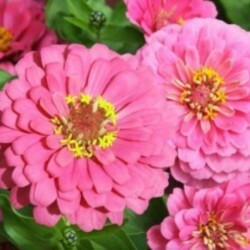 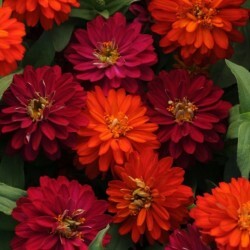 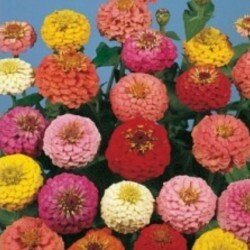 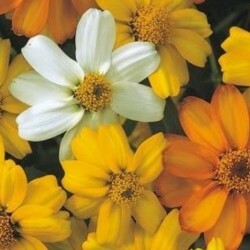 Zinnias are easy to grow, excel in hot climates and make ideal cut flowers. 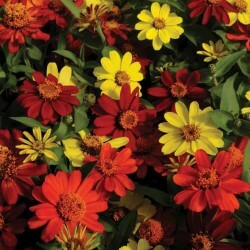 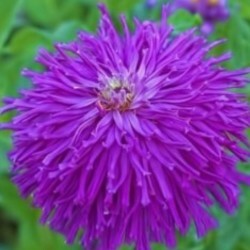 A colorful and lively addition for the border.